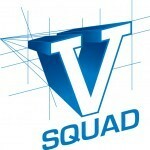 V Squad reflects Phoenix's commitment to the personal development and education of talented junior footballers. The V Squad Junior Football Development Program is designed to assist the physical, mental and social development of talented junior footballers in Victoria. Our mission is to make good players better, on and off the field.